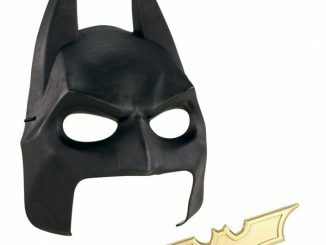 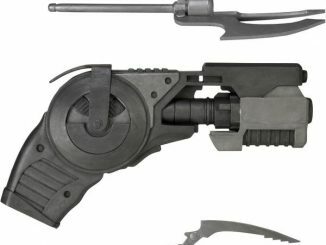 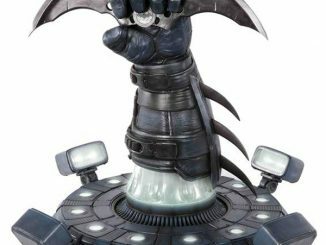 Get ready for your Bat collection to grow because the Batman Batarang 1:1 Scale Prop Replica adds a wonderful new toy to the Dark Knight’s arsenal. 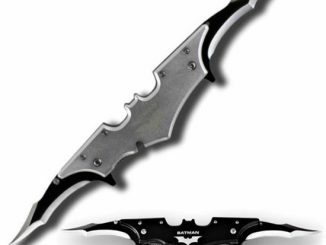 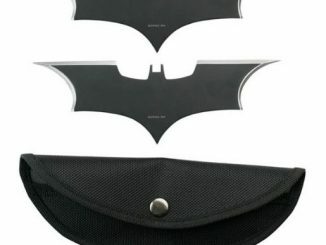 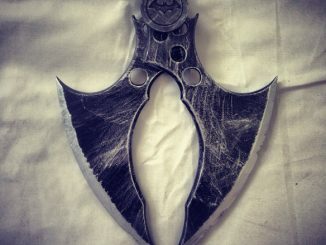 When it comes to batarangs, Batman has quite a few to choose from, ranging from the Batman Batarang 1:1 Scale Prop Replica Set for the Michael Keaton movies to the Batman Arkham City Batarang Full Scale Replica. 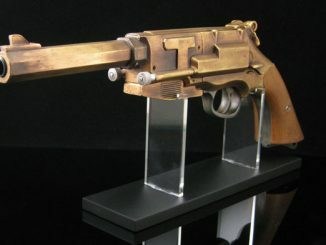 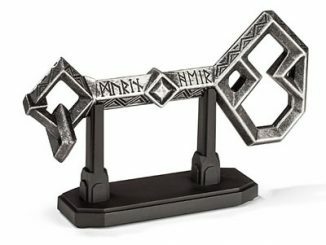 However, a new age is dawning. 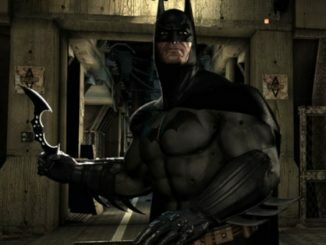 The age of Batfleck. 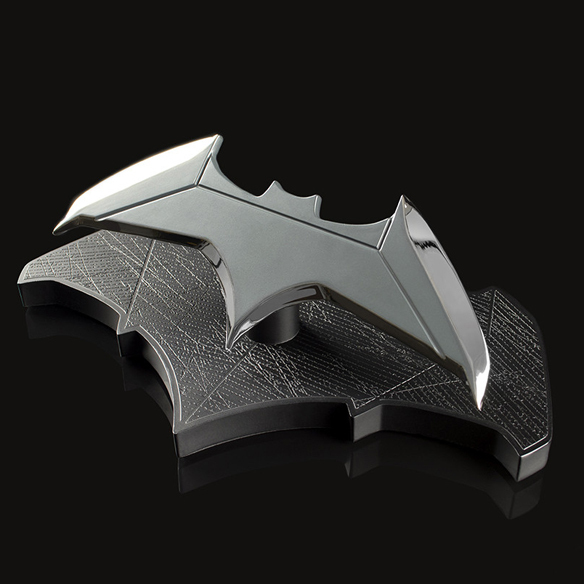 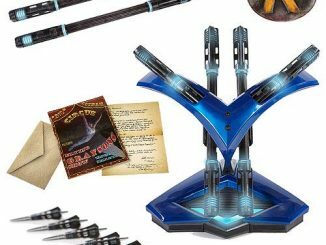 With a new Batman rising, we get new toys and this latest Batarang replica is plucked right out of recent movies like Batman v Superman: Dawn of Justice, Suicide Squad, and the upcoming Justice League, which features Barry Allen plucking a Batarang right out of the air. 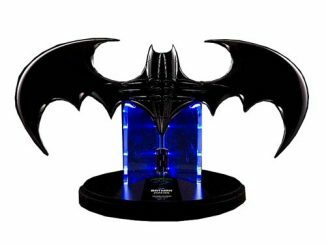 Cast in a sturdy zinc alloy, the replica sits atop a magnetic stand that mirrors its iconic shape. 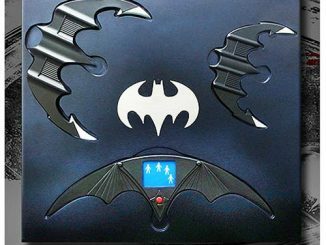 The Batman Batarang 1:1 Scale Prop Replica will be available April 2017 but it can be pre-ordered now for $49.99 at Entertainment Earth.